I got my Ortlieb Back-Roller Classic Panniers shortly after getting my Surly Long Haul Trucker in May of 2010. I tried one other set of cheap panniers for a short time, but decided I needed something a lot better. 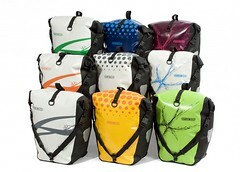 Ortlieb is one of the best cycling/waterproof bag companies around. The Back-Roller Classics MSRP is $165 for a pair. The panniers are made of a PVC-coated polyester fabric, with 2 inner pockets: 1 large, and a smaller mesh zippered pocket. 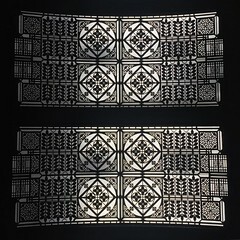 On the outside there are large reflectors. These panniers roll closed and latch, and come with a shoulder strap that can be secured by a hook on the front. The bag is completely waterproof. The Back-Roller Classics use Ortlieb’s QL1 attachment system. These are super simple panniers to take on and off the rack. Here is a cool video showing how to attach the bags, with some funky music. I’ve had the panniers for almost 2 years, and they have held up really well. They fit almost everything inside, and have a capacity of 2,441cu.in. (40L). I have been able to carry tons of groceries. If a little added space is needed I just keep the top open and it stays pretty stable. I also tend to use the shoulder straps to strap down the odd items onto the rack, which is an added bonus. In my main pannier I keep my small essentials in the mesh zippered pocket: spare patches, lights, pens, and my spork. All my other repair essentials are in a small saddle bag. In the larger open pocket I keep my map, bandana and wrench. At the bottom of the main bag, I keep my rain cape and jacket, then anything else goes on top of them. Everything else goes in other one when I need to carry more, or balance the weight. Being waterproof is a must for the Pacific Northwest weather. The QL1 System is perfect. It keeps the bags secure on the rack without rattling around. There is no fear of them falling off, but they are still super easy to take off when you pull up on the release handle. The shoulder strap is easy to use, but if you want something more comfortable, try out the Ortlieb Carrying System (read more about that lower on the page). I would recommend these panniers to everyone. 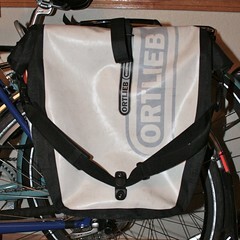 I hope to get the Ortlieb Front-Roller Panniers to match once I get a front rack for my LHT. Ortlieb has come out with new graphics on their Back-Roller Classic Design sets, MSRP $170 per pair. The Wave, Dot, and Splash designs come in 3 different colors each, more than doubling the Classic color choices from 6 to 15, 19 if you include the 4 special Civia/Ortlieb Designs (only sold in singles). With all the colors and designs you should be able to find the right set for you. Angel plans to get herself one of these new designs. I think they look great. *Update: Angel chose the Splash in the Aubergine (purple) with pink splash graphic. Read about and see photos HERE. I also use the Ortlieb Carrying System which allows you to attach a removable backpack mount to any single Ortlieb Pannier. The panniers work well on the bike, but could be a little easier to carry off the bike. That is where the Carrying System comes into play, turning your pannier into an excellent backpack. I recommend this system for anyone who wants a pannier on the bike and a backpack off the bike. If you are looking for a lighter PVC-free pannier, Ortlieb has a Back-Roller Plus version of the same pannier design made of strong Cordura fabric and their QL2 System. The Plus come in 4 different colors and cost $200. Ortlieb (and Ortlieb’s sister companies: Tubus, and Racktime) have lots of other useful products and accessories. 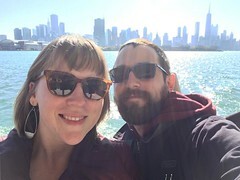 This entry was posted in BIKE, News, Reviews and tagged bicycle, bike, bike commute, Ortlieb, pannier, review, surly long haul trucker, video. Bookmark the permalink. I’ve had the same bags for 2.5 years now. Just fantastic. Good write-up. Great review of the panniers. I tossed up between these and the Bike-Packer Plus and went with the Plus model for the QL2 mount but I suspect there is not a lot of difference. I’m considering these but also the Shopper. My concern with the shopper (while I plan mostly to grocery shop with my bike) is that the biz zipper seems to be a bit of a PITA. I’d rather be able to fold it over. But that said, it holds more groceries, supposedly (doesn’t appear a paper grocery bag would work well though – I brought one to the bike store to test it out). Also the Shopper apparently is sorta listless when it’s empty with no way to fold it down to make it smaller and tidy it up. Any thoughts/experiences re. grocery shopping specifically? I’m in the NW too (Portland). Thanks!